← University governance: what does faculty representation mean? 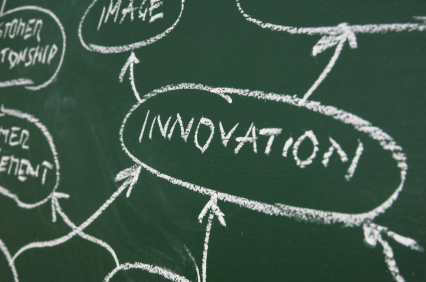 Does the “I” in CFI really stand for “Innovation”? The main problem with the CFI originates with its funding formula. On paper, the Foundation provides its successful applications with 40 percent of the infrastructure cost. The reality is that it only awards 40 percent of the portion of the infrastructure that is eligible for CFI funding, which makes its contribution much less significant. Institutions must then find the remainder from other sources, which is never an easy task. A case in point is the UBC Centre for Interdisciplinary Research on Sustainability (CIRS). The CFI is contributing a mere $5M towards this project yet, it will be costing $38-million to complete. It has taken heroic efforts from the UBC Administration and the scientists involved to secure the remaining funds. External funds were obtained through fundraising but the university had to dip into its operating fund (GPOF) to cover the rest of the bill and make this project happen before the term of the CFI-allocated funds expires. Besides illustrating the problem with the CFI funding formula, as well as the constraints in time and in design that the Foundation imposes on its successful applicants, the CIRS example raises a legitimate question about the Foundation’s level of commitment to “Innovation”. Indeed, if a flagship project for innovation such as CIRS, that is at the heart of both UBC’s and the Government’s priorities on Sustainability cannot get more than 13% of it’s funding from CFI, then we have a problem. Granted that the first application may have underestimated the cost, but still the CFI needs to shed its bureaucratic ways in favor of a more dynamic approach in support of Canada’s truly innovative projects. Another serious problem with CFI funding lies in the fact that it is not available for all academic disciplines, or for all types of infrastructure. This may tempt universities – often craving for federal funds – to give priority for disciplines where projects can be CFI eligible. The process ends up skewing university and provincial priorities, while straining their finances. For the humanities and the non-experimental sciences, it is a double whammy. Not only they are discriminated against by the CFI mandate, but they also suffer the consequences of having administrations opting to redirect funds towards CFI-eligible programs so that they can leverage the federal funding. Moreover, the CFI funding formula has been putting undue pressure for years on NSERC and CIHR. Indeed, the new research facilities built with the help of the CFI require operating funds, which –till very recently– were not provided by the Foundation. In the case of NSERC, this has caused a surge of demand on its “Major Facility Access” (MFA) program to fund the corresponding operational cost. The MFA eventually became the “Major Resource Support” (MRS) program, which is now being phasing out by NSERC after it took a 5% cut in the 2009 federal stimulus budget. The good news is that CFI has started to acknowledge the need for operational support for the infrastructure it is helping to fund. In October, the foundation launched its first competition for operating funds. The Major Science Initiatives program provides $185 million over five years to cover 40 percent of the operating costs, for up to five years, of big science facilities built through CFI. Among those eligible for the competition are the Canadian Light Source in Saskatoon, the Neutrino Observatory in Sudbury, and the NEPTUNE and VENUS ocean observatories headquartered in Victoria. Many of those were clients of the MFA (turned MRS) program at NSERC. It is however important to state that — in spite of the issues flagged here –the CFI has provided a tremendous boost to certain aspects of Canada’s research infrastructure over the last 10 years. Our main premise here is that the constraints of the program have left many important research disciplines out of its potential beneficial impact. It is also worth noting that its modus operandi is way superior to other federal infrastructure programs such as the non peer-reviewed and much less accountable Knowledge Infrastructure Program (KIP), which has been covered extensively by our friend Rob Annan. 4 Responses to Does the “I” in CFI really stand for “Innovation”? Of course, the CFI program helped many you faculty members to establish their labs, and this is great. However, there is a lot of expensive equipments collecting dust in universities because of the lack of operational funding, or maybe it was too easy to obtain for “rich” and established PIs and they moved away from the experiments requiring the equipment, or the expertise left with the grad student or PDF who used it last. NSERC and CIHR could have probably done the same, in a more concerted way, and with less wasted money. But it would not have been flashy enough for our politicians. That is one of Canada’s biggest problem in terms of S&T. The quest for exposure and big announcements, and no vision.